Angela Armstrong joined Dasher in 2009, witnessing first hand the rapid growth and market expansion of the company over the last seven years. With her experience in direct sales and marketing, she has built the Dasher business development team from the ground up, and established the core marketing strategies and campaigns for corporate and partner execution. 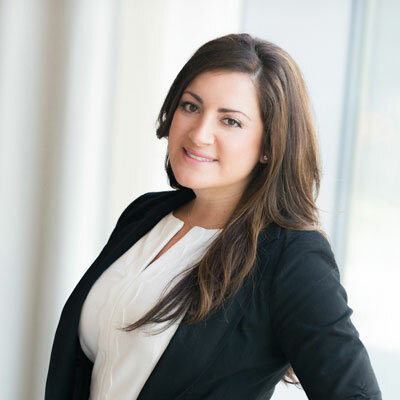 Angela's expertise in corporate event planning has developed Dasher's reputation for memorable client events that result in increased customer engagement and acquisition. She is responsible for all aspects of the Dasher brand, marketing strategy, business development, lead generation and client engagement as well as supporting the management and enablement of the partner ecosystem. Angela holds a BA in Public Relations and Advertising from Chapman University. Prior to Dasher, Angela worked in print and online advertising sales. As a new mother, Angela is loving spending time with her baby girl and learning how to find the right balance between lullabies, traveling and entertainingboth at work and at home. Angela took on a larger role in Dasher's marketing and business development strategy on an executive level with her promotion to Vice President of Marketing. This past year, she has strategically segmented campaigns around acquisition versus install based events, lead generation and business development activities. Angela initiates development within our internal teams by managing the relationships between partners and creating a larger footprint within the executive, field and inside sales teams. Dasher's marketing department strives and maintain a 20:1 ROI in pure net new acquisition efforts. Our moto this year company-wide is focus. Angela is focusing on strategic partners within the security and hybrid cloud solution space. By developing thought leadership content and distributing materials through traditional and new media channels, Dasher's focus is to increase viewership, brand recognition and engagement within the industry. Another focus this year for Dasher is our people. By investing in our internal teams and developing personal growth, we allow Dasher to maintain trust and respect within our vendor ecosystem and client relationships. What honors, awards or commendations have you won over the past year? Recently, Angela joined forces to create a group and networking outlet for women in marketing roles within the channel community where they can share best practices, discuss partner programs and enjoy comradery. On another note, Angela conquered the first year of motherhood as a first time mother, maintained a successful marketing department and tirelessly worked on a seamless transition. Within four months of her return, Angela received the promotion to VP. Sheryl Sandberg because despite her personal hardships in the last year, she maintained her leadership role at a well-known Silicon Valley tech company. Angela respects Sheryl's strength, dedication to her team and poise. What advice would you give to young women who want to begin careers in technology? In the male-dominated technology industry it is important for women to be confident and respectful, express their opinions, but also listen with both ears. Angela recommends women to develop their public speaking skills, learn to project their voices and have humility when receiving criticism in order to use that in bettering themselves. If you could be any movie character for one day in real life, who would you be and why? Sandy in Grease. It was Angela's favorite movie growing up and she would love to live a day in the 50s! If you could travel to a city you've never been to before, all expenses paid, where would you go and why? Havana, Cuba. Angela loves experiencing different cultures and cities with deep rooted history. Due to Cuba recently opening its entry to US Citizens, now would be the perfect time to explore the landscape, try different foods, indulge in their music and learn about their past.